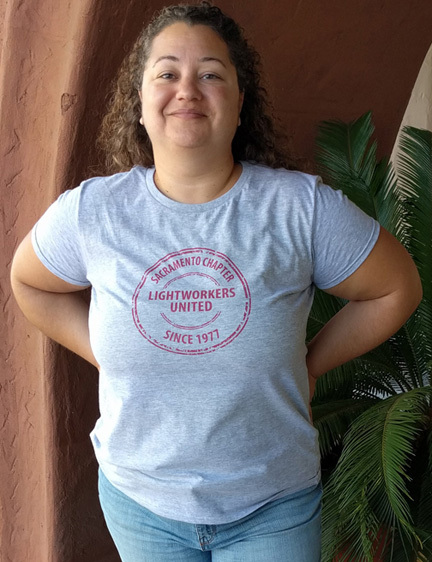 Lightworker Lifestyle creates spiritual t-shirts and other products printed to order with positive messages that inspire and uplift. Hi, I’m Rana. My awakening really intensified in 2015 when I learned about Ashtar and the Galactic Federation, the Annunaki and our prison planet, the Polarity Experiment, Ascension, the Prosperity and Humanitarian Funds, what’s happening on Earth right now and so much more. Lightworker Lifestyle was born out of my desire to create products that uplift and motivate Lightworkers to step into their own power and step out of the spiritual closet because we need all hands on deck during this transition. Lightworkers around the world are awakening from the long slumber of amnesia and are no longer content with the status quo. It’s time to remember Who You Really Are. My mission is to engage, educate and empower all people to own and accept who they are as Beings of Light and aspects of the Divine. I have accepted my mission to do all I can to help manifest New Earth and the glorious Golden Age we have all been waiting for. I live in Sacramento, CA and am really excited to be so close to sacred and beautiful Mt. Shasta and Telos. I work with a print shop, Printful, based in Los Angeles and North Carolina, to print my products including direct to garment (DTG) t shirts, and ship my products directly to you. Every product is made specially for you to order on demand. They are proud to be a sweatshop free company that makes products in America. They ship fast, some orders within 3 days and most within 7 days, unless there is a delay with the supplier. The brands I have chosen to use for my t shirts are Anvil, Bella + Canvas and Gildan. I like these brands for their high quality, softness, comfortable fitting on larger sized bodies and all make an effort to be environmentally and socially responsible. Printful uses water based inks, an organic pre-treat solution and works to minimize their environmental impact for disposal of byproducts. I do have future plans to expand into screenprinting and other printers so I can offer fabrics like organic cotton, hemp and other eco-friendly materials.